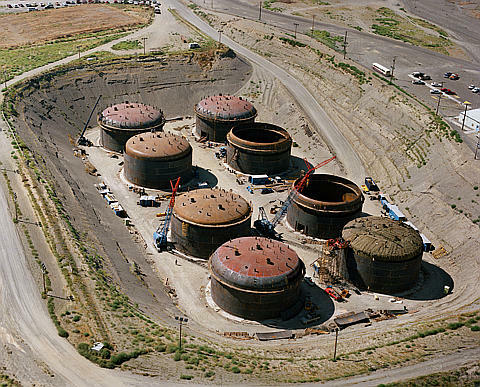 At sites in the United States, the former Soviet Union, and elsewhere, nuclear weapons production waste interacts with groundwater and soil in ways that are poorly understood at a fundamental molecular level. These interactions are important because they determine if plutonium will ultimately stay in the soil or follow the groundwater into nearby rivers. Dr. Lynda Soderholm is working to understand the structure and reactivity of plutonium and other actinide species, as she explained at the Frontiers in Geochemistry Seminar Series at Pacific Northwest National Laboratory. Employing HEXS provides new data on actinide behavior. A senior chemist at Argonne National Laboratory and an adjunct professor at the University of Notre Dame, Soderholm discussed her approach to probing the atomic-level structures of actinide ions in water using high-energy x-ray scattering (HEXS). Unlike many other techniques, HEXS provides details about the distribution of electrons in the outer sphere of the ions, those farthest away from the nucleus. With the 90-kiloelectronvolt technique, changes to the electron distribution and their involvement in bonds is determined with the precision necessary to provide quantitative data for thermodynamic calculations. Using HEXS, Soderholm's team is beginning to understand the behavior of tetravalent actinide ions; that is, ions that can form four electron-sharing bonds, in water. The approach provides information on ion binding directly to a solid surface without intervening water molecules, within an error of about 2%. This work is opening the door to explain the wide ranging, often intractable, chemistries associated with dissolved actinide ions in groundwater. PNNL postdoc and Environmental Molecular Sciences Laboratory user Frannie Skomurski explains her excitement for attending Soderholm's seminar. "She is a forward-thinking chemist who pushes the envelope by applying a variety of powerful experimental tools to challenge and expand our knowledge of different actinide systems. I always enjoy learning about her research." About Lynda Soderholm: Professor Lynda Soderholm is world-renowned for her expertise in heavy element and separation science. 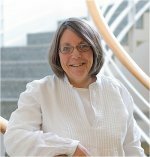 At Argonne National Laboratory, she is a research chemist, the director for the Actinide Facility, Group Leader of f-Electron Interactions, and co-recipient of a DOE Materials Science Research Competition for Outstanding Scientific Accomplishments in Solid-State Physics. Her research interests include solid-state synthesis and the characterization of f-element compounds, their electronic properties and their influence on structural, magnetic, and conducting properties, including the high-Tc superconductors.